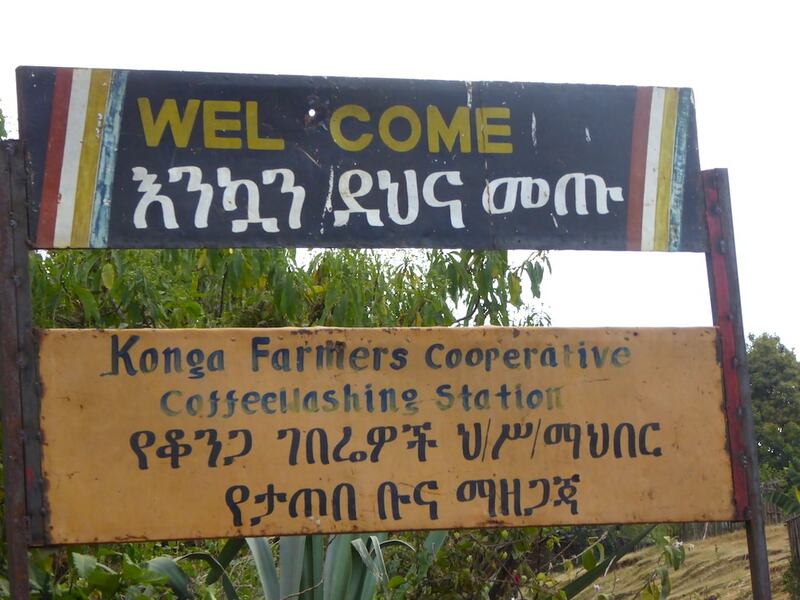 The Konga cooperative is one in a network of cooperatives in the Yirgacheffe region belonging to the YCFCU (Yirgacheffe Coffee Farmers Cooperative Union). Its 2,400 smallholder members distinguish themselves with their impeccable attention to detail in processing. Ethiopian heirloom varietals are chosen from the forest and transplanted to small gardens, adding a layer of selection to the incredible complexity available among wild coffee plants. Farmers hand-sort for unripe and overripe cherries. Coffee is pulped with a 5-disc Aagaarde pulper and wet fermented for 24 to 36 hours. After some sorting based on density, the fermented coffee is washed in clean water before drying for one to two weeks on cloth drying beds. Workers cover the coffee with plastic at midday and at night. Once dried, the coffee is screened 14 and up. As part of the cooperative's mission to give back to its community, it recently renovated buildings at a primary school and outfitted it with new supplies. Cupping notes (6/8/18): Grapefruit, jasmine, berries, chocolate; creamy body.